If you think of the future… Not the near future in 5 or 10 years, but in 200, 500 years, how will information technology look? Yeah… no one knows. What a silly question! But we're allowed to dream about it. Everyone can use their imagination. When our CEO, Martin, first thought about this in his early twenties, he imagined a simple, beautiful, friendly system. One we can trust all our knowledge to. People would not even think of it as a product, but more of an underlying force, like air, water, electricity. In the future, we will achieve a technology level where we're not bothered with "technical problems". We are at a state of inner peace when we think about information. Much like how electricity is just there, so too will our data be. A few years passed. Meanwhile Martin built Axonic, a software vendor with more than 5 million users. Then in 2014, a small team at Axonic started to bring this imagination into reality. They started Zenkit - as an application builder platform. The idea was that people would create their own customized apps without advanced programming knowledge. Almost 2 years into building the system, the platform was growing and becoming more and more powerful. Almost ready to release. One day though, around Christmas in 2015, we felt something wasn't quite right. The application builder was really good. It was simple, it was well designed, and it was powerful. It was even fun to play with, but something felt wrong. Then we realized what was missing: We weren't using it ourselves, at least, not daily. On that day, we decided that Zenkit needed to become something else: A system that anyone would want to use from the first moment. A system that can be an important part of your life. This was the second birth of Zenkit. From that day on, making Zenkit a part of everyday lives was the most important principle. We stopped building the application builder. What was taken from the first version, was the deep technology required to build a flexible system to make a real impact. In October 2016, Zenkit was released. 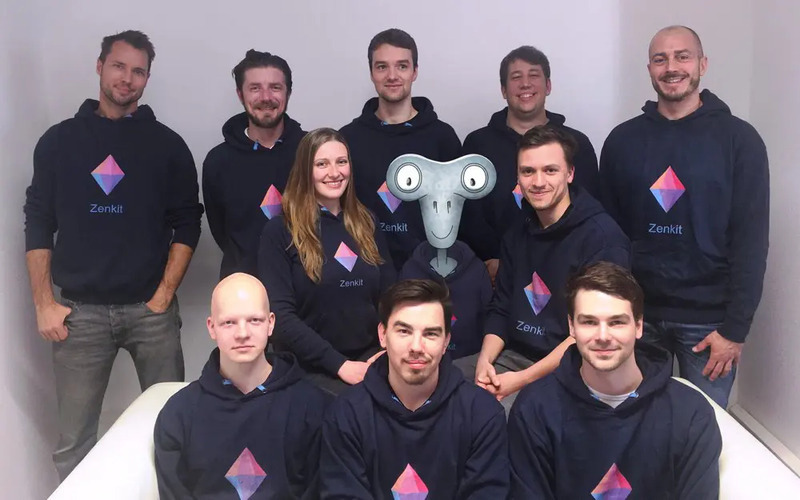 We labeled Zenkit as a 'project management platform'. We did this to find a fit in today's technological landscape. Because, at the end of the day, you have to decide what kind of tools you want to use in daily business. But even now, at the beginning, Zenkit is more than just that. It is already a platform where you can bring together very different areas of your company and your life: Customers, Documents, Invoices, Bugs, Features, Leads, Resources, Tasks, Events, Tickets. You can start to use the enormous potential of synergy between them. We hope that you will join us in our journey to achieve this vision. We promise to make some substantial progress in the not so distant future. We really don't want to wait 200 years.